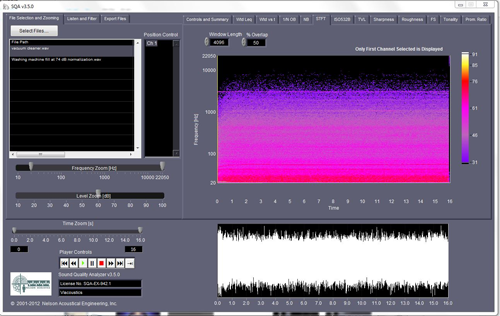 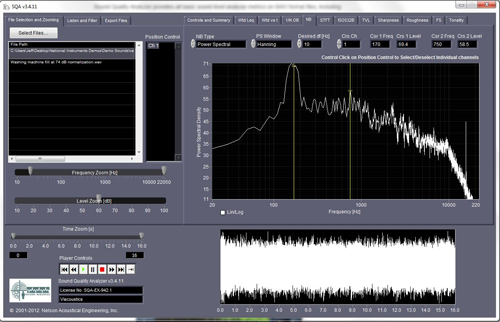 The Trident STFT Analyzer provides a powerful graphical display of the narrowband signal analysis vs time. The display can be very useful for identification of tones and modulations in the time waveform. It is also used in conjunction with the SQA filtering and listening tools to provide a visual guide for setting filters.